Towards the end of last year I was asked to work on my very first animation for a client! Chog Zoo Animation wanted me on board for a commission to work on an animation for Stockport Council - and I jumped at the chance to work as part of a team, and see my characters in motion! The animation was based around the not-so-nice proposed budget cuts, and the idea of working with the local community to hear their opinion on moving forwards. I worked closely with Chog Zoo in creating early concept art, character design and storyboarding before taking the floor and illustrating the assets before they worked their animation wizardry. I first illustrated the main character Pippi, and steadily brought in a whole cast of characters to represent the Stockport community and support the narrative. 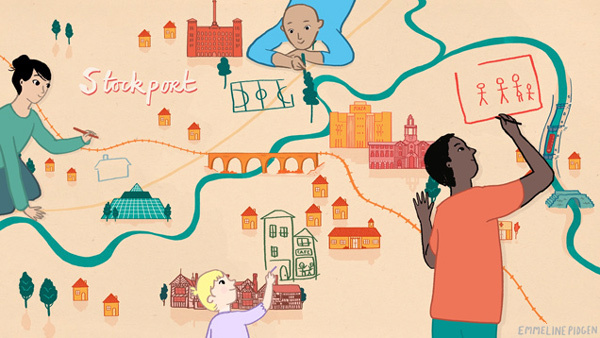 We included backgrounds and buildings showing key locations in Stockport and the surrounding Greater Manchester area; and represented the issues and that Stockport is facing, as well as the progress that is being made. We were lucky enough to have the oh-so-talented actress Josie Cerise on board for the audio, and I'm very much hoping to work with Chog Zoo and Josie again in the future (maybe on a slightly more fictional piece!). It was fantastic to branch out into moving image, and they're a seriously great bunch of people! The final video faced some severe editing and script-changes, but it's great to see councils engaging their communities through artistic animation. You can see the full video below! What a nice video! I'm curious if you don't mind about the program you used for the animation, I've been doing some simple ones with Adobe Edge Animate, but was looking for another one who would give me some more options. Thank you and congrats! "We mostly used After Effects, and Toon Boom for some of the character animation. 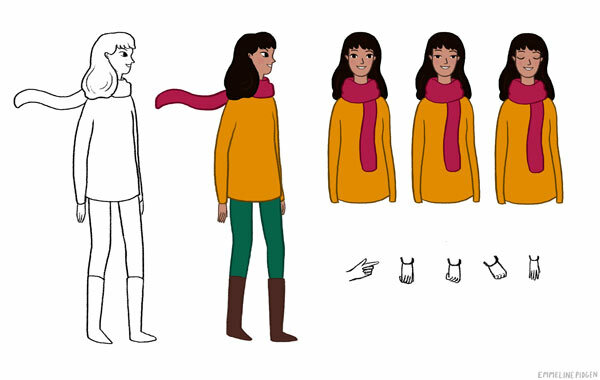 Toon Boom Studio is a good starting point if you're looking to get more into character animation. Otherwise, doing frames in Photoshop and taking them into After Effects is a good option. Hope that helps!"